The teacher training program lasts 7 months from Sept 2018-April 2019. There is one weekend intensive per month, a few workshops, homework and a teaching practicum towards the end of the program. Plan on spending 15-20 minutes/day reading and doing homework in addition to your daily yoga practice. 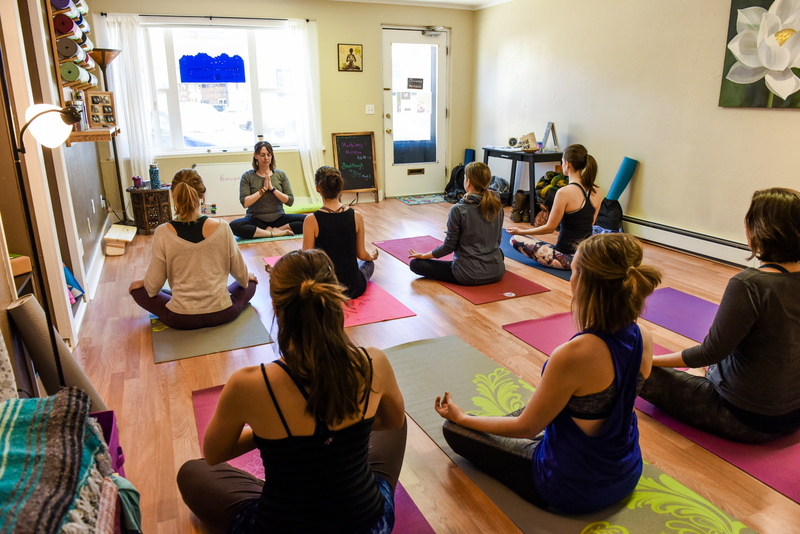 The program is designed over the 7 months to allow for true integration of the yoga concepts into your life and to be practical for the working student. Do I have to attend all of the weekend intensives? Ideally, yes. We understand that there may be important family events already scheduled, and emergencies do happen; don’t let the fear of having to miss a class hinder you from signing up. If you must miss a class, you’ll be required to make up the missed hours (there are a couple of ways to do this). It’s to your benefit to attend all of the sessions if possible. Retreat? What’s up with the retreat? Oh….this part is fun! 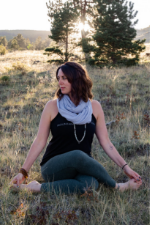 In January, our weekend intensive will be held at Mount Princeton Hot Springs in Nathrop, CO. This location is only about 90 minutes away tucked into the Rocky Mountains near Buena Vista CO. Students will spend the weekend in our own cabin, where we will have our sessions in the living area. You’ll have plenty of time for relaxation, soaking in the hot springs and enjoying some self-care time. The price of lodging, soaking, and meals are included in your teacher training tuition. This weekend is going to be AMAZING! Each month there will be reading, questions to answer and supplemental homework assignments to enhance your learning. Plan on spending 20 minutes/day or just a few hours each week depending on your learning style. I’m not sure I want to be a teacher, but I want to deepen my practice. Will I have to do the teaching component? Yes. Though it sounds scary, every student will be required to complete the teaching practical. Though you may not feel like you want to teach right now, you never know what will change for you in the future. This will allow you to step into yoga teaching at any time. How much will the books cost? The cost of books will be approximately $130. This is not included in tuition. As this is our first session of teacher training, this is subject to change. For further details on the program, click below to download the course syllabus.